Something to look forward to: Virtually every Wear OS smartwatch has been powered by Qualcomm’s Snapdragon Wear 2100 platform since it launched over two years ago, but the long-awaited successor could be just around the corner. It was back in February 2016 when Qualcomm unveiled its new wearables processor, which replaced the Snapdragon 400. In May of this year, the company again confirmed that it was working on a next-generation chip for wearables. Qualcomm’s senior director of wearables, Pankaj Kedia, told Wareable that the new chipsets would be announced this fall and “designed from the ground up,” with multiple variants for different products—though all will have Bluetooth and Wi-Fi as standard. Living up to its word, Qualcomm has sent out invites to a press event taking place on September 10. 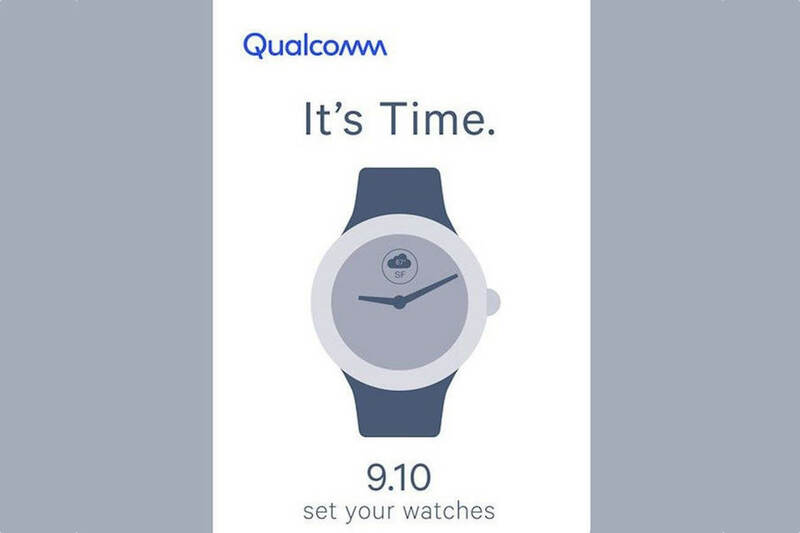 While it doesn’t specifically mention the new chips, the image, along with the words “set your watches,” suggest they will be revealed at the conference. It’s expected that the new chipsets will address what is still one of the major issues with smartwatches: poor battery life. The improved efficiency should also allow for smaller devices; many wearables remain excessively chunky and can look overwhelming on thinner wrists. Qualcomm did announce a new smartwatch platform back in June: the Snapdragon Wear 2500. The Chipset isn’t designed for Wear OS; instead, it is meant to be paired with a version of Android developed by Qualcomm called Android for Kids, which is used in low-power smartwatches for children. We don’t know which device will be the first to sport Qualcomm’s new smartwatch platform, though it could be the rumored Google Pixel watch. Until then, wearable fans should check out the new smartwatches from Fossil that were launched earlier this week.